Fall is here. Pumpkins and gourds are bountiful. And this photo says gourds can be gorgeous. Better Homes and Gardens featured this easy arrangement that everyone can do. 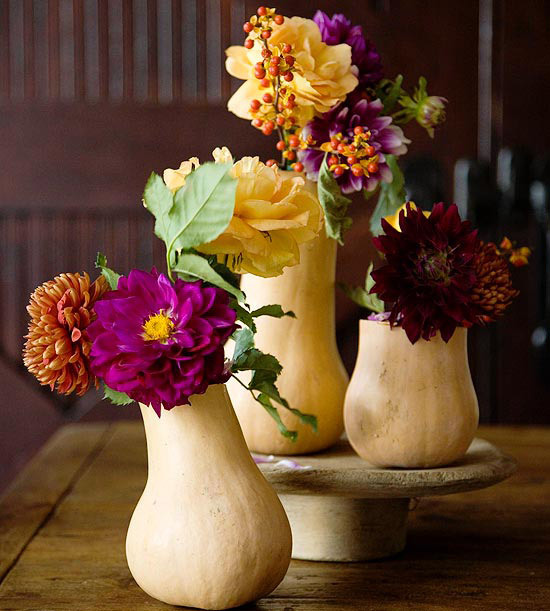 Just cut off the top, hollow it out and use the gourds as vases. Volia!